Aimersoft DVD Creator for Windows is one of the best DVD burning software that is designed to help users convert all popular video/audio formats into DVD-compatible files with customized DVD menus for on-the-go viewing or to keep as a precautionary backup. What’s more, it enables you to make personalized photo DVD slideshows with beautiful transition effects and background music, and touch up your videos/photos with the built-in editor: trim, crop, adjust effect, add watermark, etc. Burn all major video formats to DVD with ease. Touch up your videos and photos with the built-in editor. 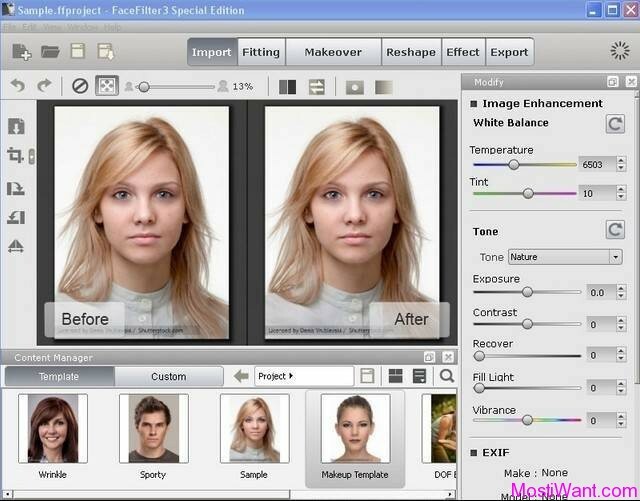 Simple and user-friendly interface makes all the video editing and burning easily done. Aimersoft DVD Creator for Windows is normally priced at $39.95 per serial number / registration key. Now, in cooperation with Aimersoft Studio (developer of Aimersoft DVD Creator and sponsor of this giveaway), we can offer 10 free serial number to activate the Full Version of Aimersoft DVD Creator for Windows. To participate in the Giveaway, simply leave a comment below to register for the contest. A valid email address must be entered on the “Mail” field. And do NOT post email address inside comments to avoid spam. The Giveaway will end on Jun 18, 2012, 12:00 PM GMT. 4 winners will be chosen by me and the others 6 will be selected randomly according to random.org, and will be announced (in this post) before Jun 19, 2011, 12:00 PM GMT. Thank you, William, and thanks to Aimersoft and Christina for the fine giveaway. Count me in also. I have some software from Aimersoft and I like it. Please count me in, I would like to have the Aimersoft DVD Creator too. Thanks. Thanks for your giveaway. Count me in,please. I’ve used Aimersoft video converter for three years now and still get amazed at the resulting quality of the conversion so I would Like to be In on this deal too. This is a good program. Thanks. Count me in for Aimersoft DVD Creator for Windows Giveaway. I have seen my friend’s photo slideshows with beautiful transition effects and background music so beautiful. I really hope to try one. Hope to be one of LUCKY. my while having it. Please count me in. Count me in. Love it. Aimersoft has a good reputation. I’d very much like to have their DVD Creator. Please count me in. And thanks for the opportunity. Please,consider me for the offer of “AIMERSOFT DVD creator”..
thanks for giveaway. T want to use it. If you want Professional results, without all the hassle. Aimersoft DVD Creator is the PERFECT SOFTWARE for you to use. Download and try it for FREE! Its great fun to have Aimersoft DVD Creator as my new DVD Creator ami. I would love to be considered for the Aimersoft DVD Creator giveaway. Wow, great, very useful and important program for everybody!Everybody needs it. Thanks for this great present.